The response my previous blog post about gender bias took me by surprise. Apparently if you talk about this stuff openly, people have a lot to say. More than 500 people have read the post on this site and more over at the Women in Astronomy blog. 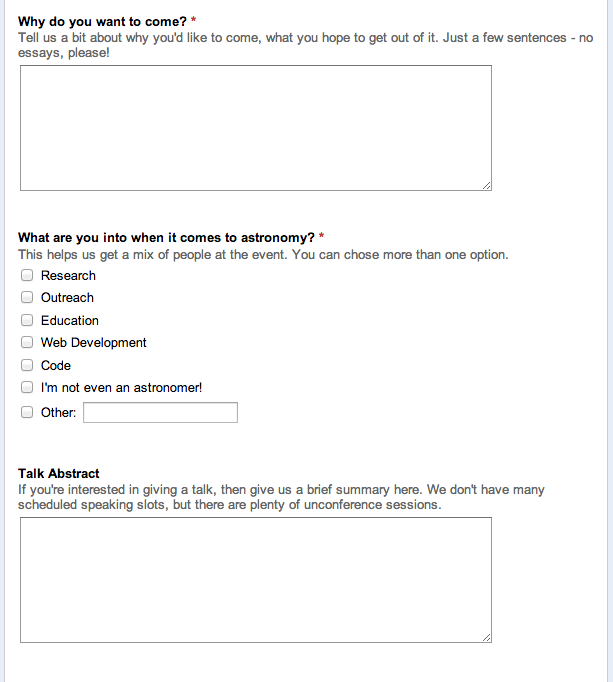 After posting it, I also emailed the upcoming .Astronomy 5 attendees and offered everyone (men and women) a second shot at sending in a talk abstract. As many men as women sent me an abstract in the following few days – come on: that’s kinda funny, right? 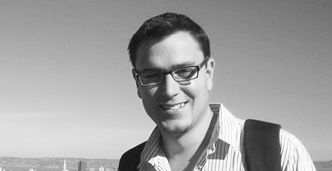 The result is that I believe we can now create a more equal speaking line-up for September’s event, and I’ll be inviting speakers soon*. I don’t see anything here that one would consider biased. 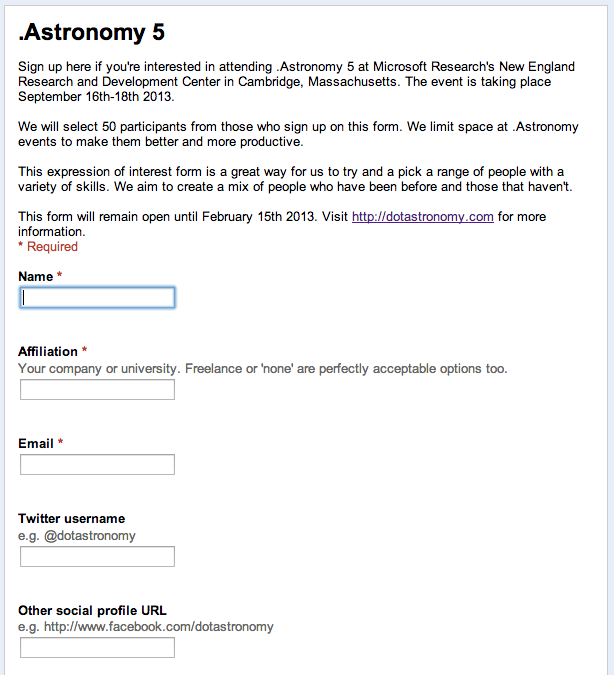 I can’t say the same for the .Astronomy sign-up form that Chris Beaumont found in this tweet. It’s been suggested that I ask the women who didn’t sign up, why they didn’t. Honestly I’m not comfortable doing that – but if any of them want to volunteer a response that would be interesting. I’m also not sure that anyone can really even be aware of the things that may bias them toward submitting a talk abstract (or not) when they fill out a form. Finally (for this update) I’ll point you to a very interesting URL that several people shared with me this week: the AAS Committee on the Status of Women’s page detailing the ‘Percentages of Conference Invited Speakers Who Are Women‘. It shows that .Astronomy is not so unusual and that astronomy is very much still male-dominated. Are we surprised? No. Can we change this? Yes. The question is: how? 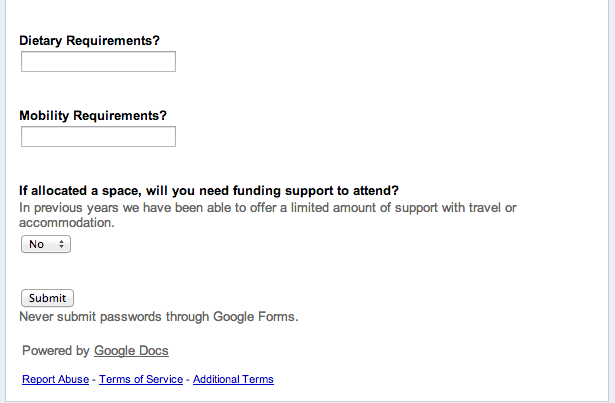 That’s what I’m going to be asking a lot when we create the sign-up form for .Astronomy 6. I’m really pleased with how this has turned out, and look forward to a more balanced and awesome .Astronomy 5 in September. I really appreciate everyone’s feedback and I think this conversation will keep going – so I’ll posts updates if necessary.